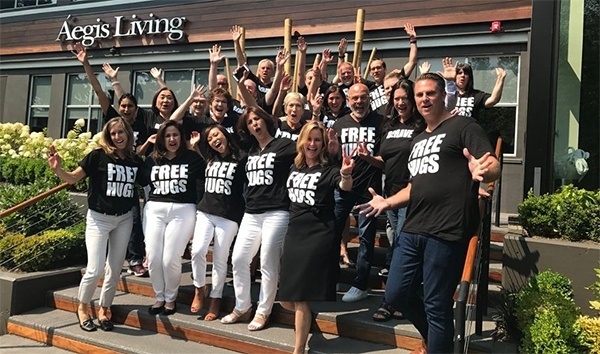 Seattle-based Aegis Living is the inspiration of entrepreneur Dwayne J. Clark, known for creating a nurturing work environment that makes caring for seniors fun. With communities in Washington, California and Nevada, what separates Aegis from other top assisted living and memory care providers is its low turnover and high employee satisfaction rating. One reason Aegis is able to attract and retain a strong, loyal staff is a commitment to recruit “outside the lines” of senior living. They scout strong, promising people from hospitality, retail and other service-oriented sectors rather focusing on applicants with industry experience from senior living’s highly competitive pool. 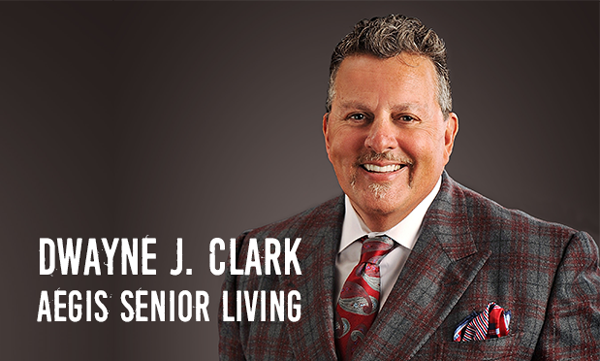 Clark developed one of the best senior living cultures by not only improving on his industry competition, but also by analyzing Costco, Starbucks and Nordstrom, Seattle’s top companies, known for their innovative practices and high employee satisfaction scores. Aegis has been recognized by Glassdoor, a website where employees and former employees anonymously review companies and their management. 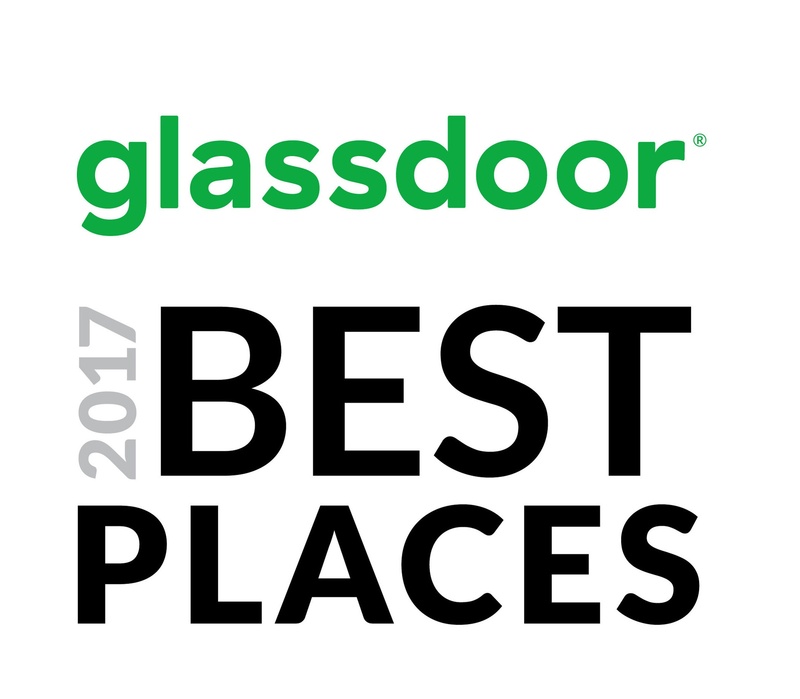 Each year, Glassdoor offers three marquee awards celebrating outstanding employers and leaders throughout the world. The Employees' Choice Awards, based entirely on employee feedback, recognize the Best Places to Work and Highest Rated CEOs. In 2016 Aegis Living made the list of “Best Places to Work,” coming in #46 in the list of large companies with at least 1,000 employees—the first time a senior living provider has made the list! This puts Aegis in the company of Salesforce, Airbnb and Adobe to to In-and-Out Burger to Hilton Hotels. “Fun” isn’t a term often associated with senior living, but Aegis puts joy, along with employee recognition, at the top of its priority list, along with a list of chosen values that includes courage, intellect, authenticity, humor, disruption, service and purpose. “I think we’re constantly looking for ways to celebrate our staff. Last year on the company’s anniversary, we gave away a car to a member of our line staff. We also have a big ‘lotto’ giveaway, with ten $1,000 prizes and a $50,000 grand prize, which is enough to change a life--buy a car or condo, go to school, etc.,” Clark says. Each holiday season, Aegis hosts “Winterfest,” turning its Redmond corporate office into a retail-style store with hundreds coming through to receive coats, shoes and other clothing items. With much of its staff on tight budgets, Aegis also adds practical perks they can use every day. Employees can get meals from the workplace kitchens for $1, or take home a meal for their whole family for $4. They can also get haircuts at Aegis for just $5. The Aegis safety net includes the Potato Soup Foundation, a 501c3 foundation that aids employees with emergency services, including rent assistance, dental bills, even funeral expenses for family members in other countries. On Glassdoor and other employment sites, Aegis workers say that while the workload is challenging, corporate culture and their immediate supervisors understand the importance of spending time with their own family members while finding a work/life balance. Just as important, Aegis does more than give “lip service” to valuing employee input. Through its Black Box Initiative, if an employee has an idea for a service improvement, they can put it in the black box and get rewarded for their idea once its put in place. “We make people feel like they’re part of the company,” Clark says. For its annual meeting, Aegis has done something novel--curated one that’s entirely focused on its employees. By throwing out the boilerplate and focusing on its people rather than corporate performance, they’ve demonstrated that an annual employee meeting can be an event staff actually look forward to attending. 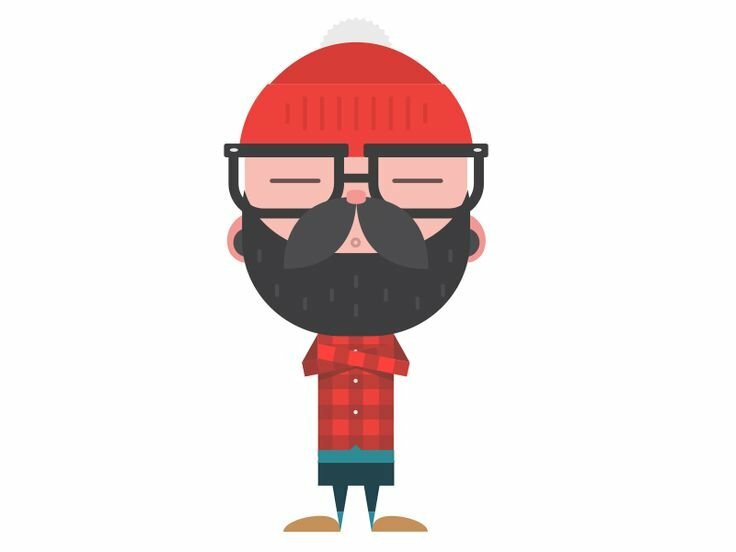 Called EPIC, they feature entertaining speakers, often A-list celebrities, and usually focus self-improvement and spirituality. “The goal of EPIC is the personal development of our employees. To empower and enrich their lives. Renowned speakers, energizing activities and support from each other create this life-changing event,” Clark says. Sylvester Stallone, Susan Sarandon, Carlos Santana, Diane Keaton and Harry Belafonte have spoken over the past several years. Pushing boundaries further, for its 2017 meeting, Aegis invited a group of people who have suffered very public downfalls—including Lance Armstrong, Monica Lewinsky and Amanda Knox—to share their stories. As members of this unusual lineup shared their stories, participants learned about empathy, compassion, truth and managing difficult life experiences. For additional information about this unique event, visit here. As a successful entrepreneur, Clark isn’t averse to profit, but he also understands the importance of doing right by his staff. 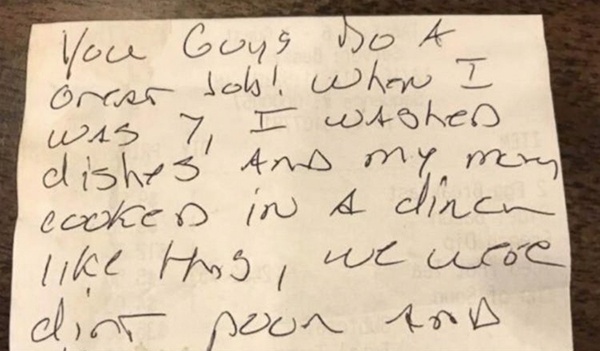 Growing up in a working class background, he knows how much love and sweat goes into doing a good job at service industry jobs. "You guys do a great job! When I was 7, I washed dishes and my mom cooked in a diner just like this. We were dirt poor and didn't have money for Christmas. Hopefully, this will help all of you have a better Christmas."